On a daily basis I wear thick heavy make- up. Aside from looking flawless all day, taking the whole lot off at the end of the day is a chore. That has all changed thanks to the Oils of Life Intensely Revitalising Cleansing Oil in Gel (£12). A careful blend of 3 seed oils, the thick gel formula contains over 30% of pure oil which is said to leave your skin feeling smoother, appear more radiant and moisturised for up to 72hrs. Is that a bold claim or can the Oils of Life Intensely Revitalising Cleansing Oil in Gel deliver? Read on…..
For years I was obsessed with the Elemis oil in gel cleanser that was a heavy duty gem but after it was discontinued I struggled to find a suitable replacement. Not keen on digging my nails in to pots of balm that need to be warmed in the hand before applying, I was resorting to removing all my make up with a couple of wipes before going in with a more gentle double cleanse. Very time consuming, yes? The Oils of Life Intensely Revitalising Cleansing Oil in Gel is a thick viscous gel that is easily massaged in across the skin without any drag. I massage across the areas of my skin that get most congested before lightly sweeping over my eyes. There is no stinging at all and removes even the heaviest of goth black eyeliners – trust me! I splash warm water on to my skin to emulsify the cleanser before wiping the whole lot off with a fresh wet flannel. The Oils of Life Intensely Revitalising Cleansing Oil in Gel is packed with Black Cumim Oil from Egypt, Camellia Oil from China and Rosehip Oil from Chile. 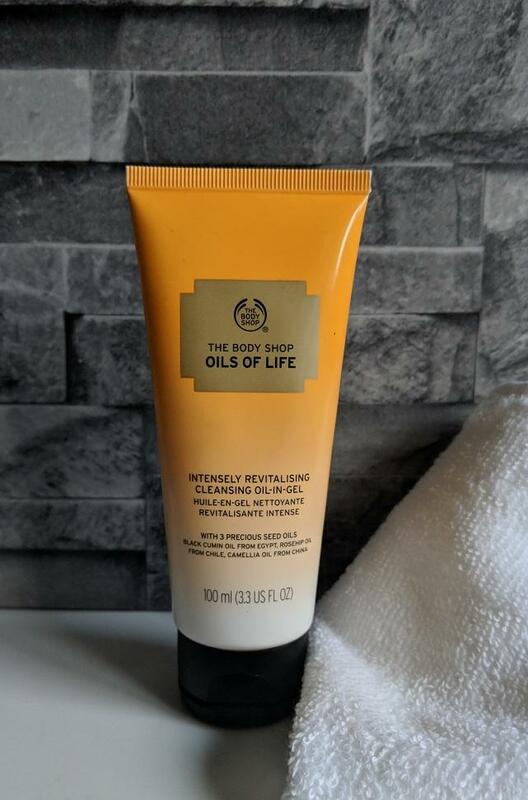 Of course, the Oils of Life Intensely Revitalising Cleansing Oil in Gel should be the first step in your skincare routine but I have found my skin stays moisturised overnight and feels plump without any tightness from the cleansing. I have hypersensitive skin and have had zero reactions to this cleanser. 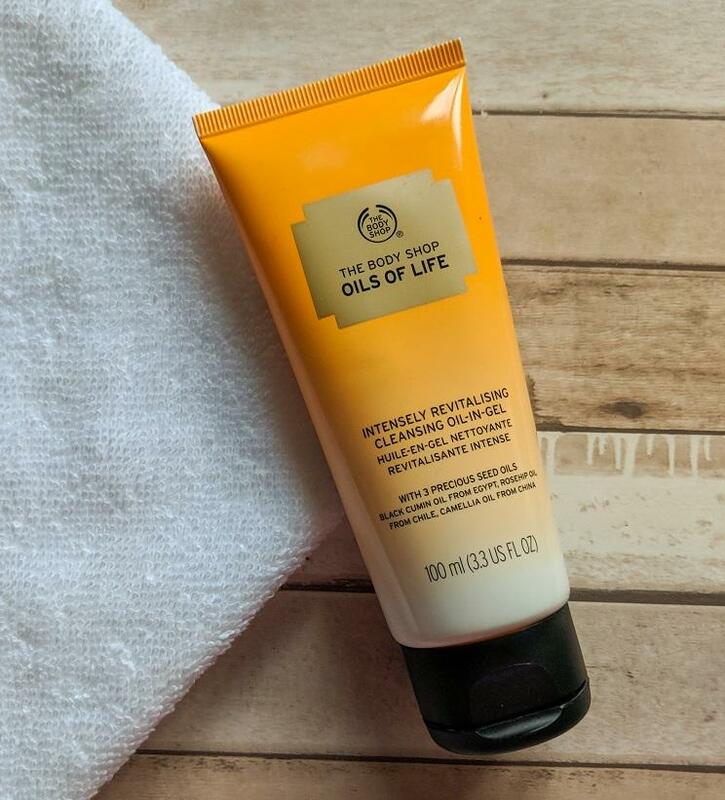 The Oils of Life Intensely Revitalising Cleansing Oil in Gel is a hidden gem in the Body Shop skincare line up. It can stand shoulder to shoulder with higher priced cleansers but of course comes backed by the 40+ years of beauty development from the brand. The only downside to Oils of Life Intensely Revitalising Cleansing Oil in Gel is the fact it is NEVER in any of the discount promotions. If it was, I’d buy a year’s supply in one go!